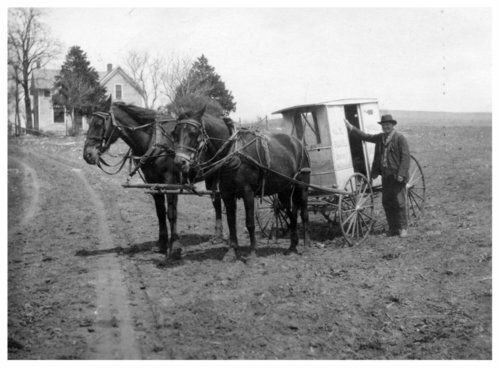 Photograph of Isaac Hastings standing beside his mail carrier buggy at the Paul Dallas home in Alma, Kansas. Hastings was a mail carrier on Alma Route 2 from the spring of 1907 to about 1924. His buggy is now displayed at the Wabaunsee County Historical Society Museum in Alma.